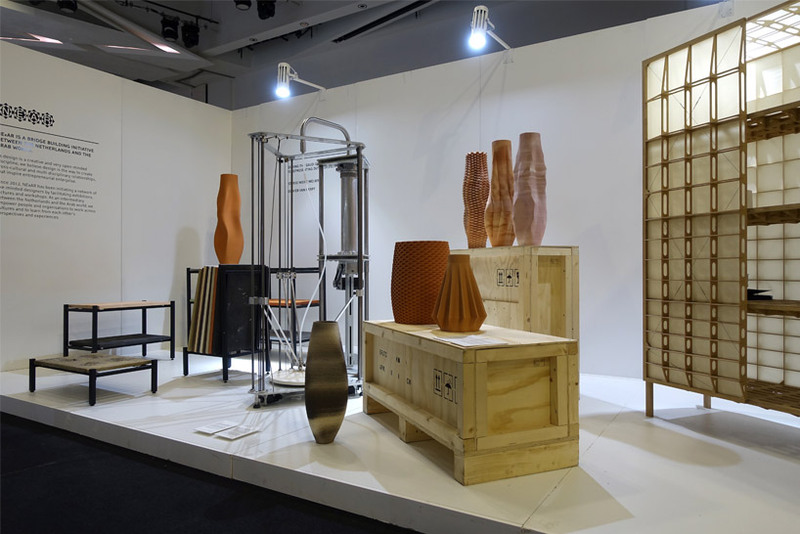 dubai design week 2017 returns for its third edition where it seeks to further establish itself as a thriving global design center while aspiring to promote UAE-based design talent and celebrate the city’s innovative and forward-thinking approach. 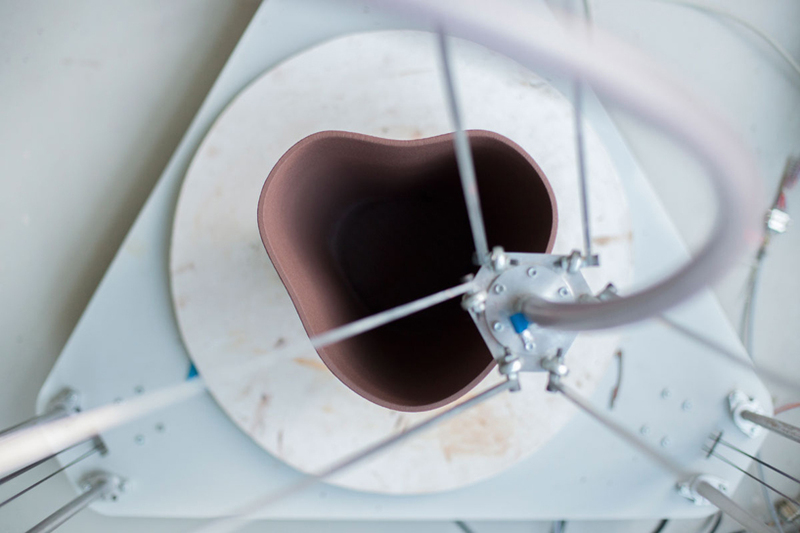 all news and recent projects of dutch industrial designer olivier van herpt. 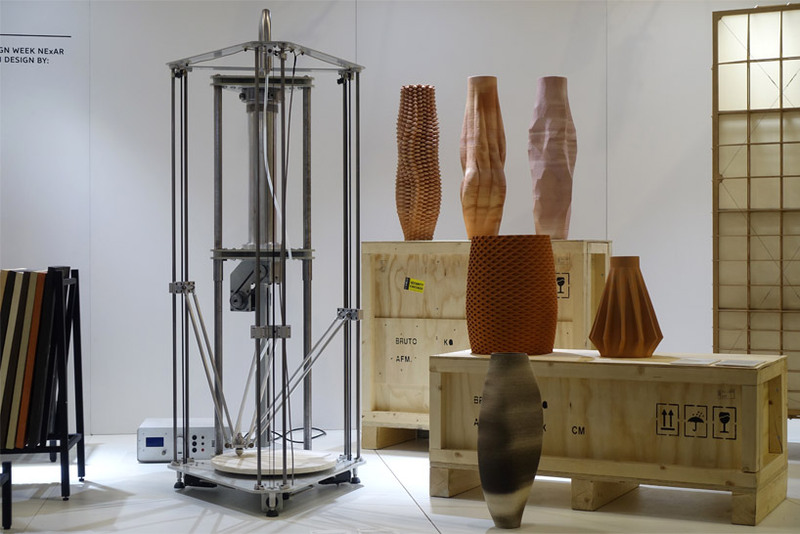 a graduate of the design academy eindhoven, van herpt works with digital fabrication technologies, such as 3D printing, to construct methods and means of production that meld together seemingly divergent worlds. 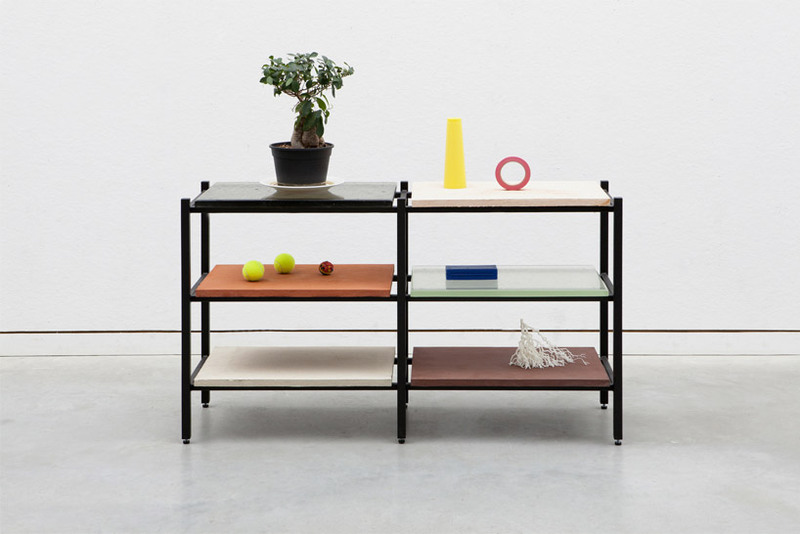 as a bridge building initiative between the netherlands and the arab world, NE+AR invites studio mieke meijer and olivier van herpt to exhibit at dubai design week 2017. it pits the work of the two forward-thinking designers together into one encompassing installation. 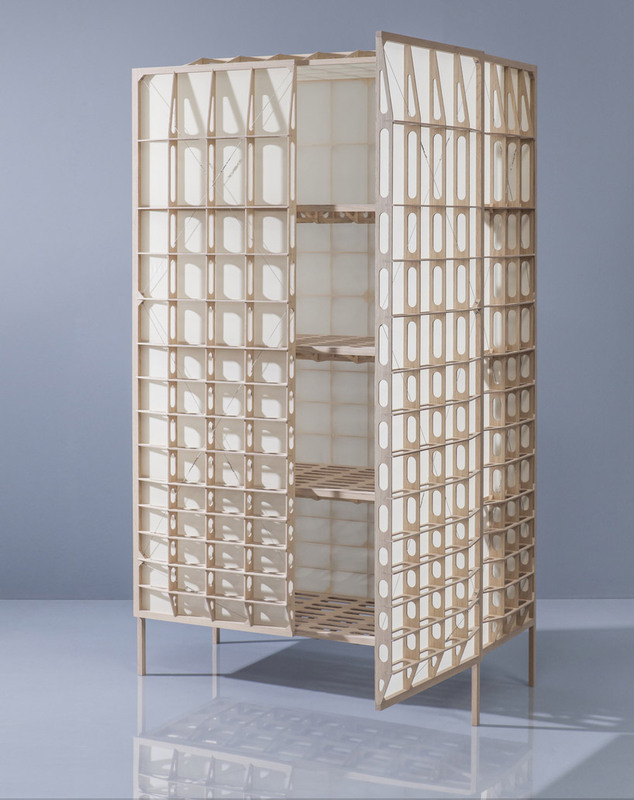 exemplified by the pair’s creativeness and open-mindedness, design was seen as the best method to create cross-cultural and multi-disciplinary relationships between the regions. 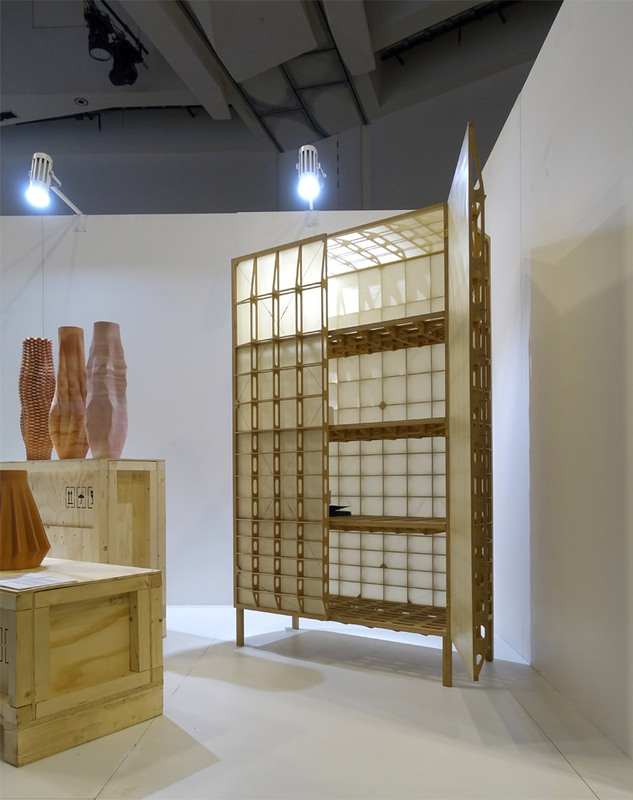 since its conception in 2012, the program has continually progressed towards its main goal of establishing a sustainable connection between dutch design and that of the arab communities. 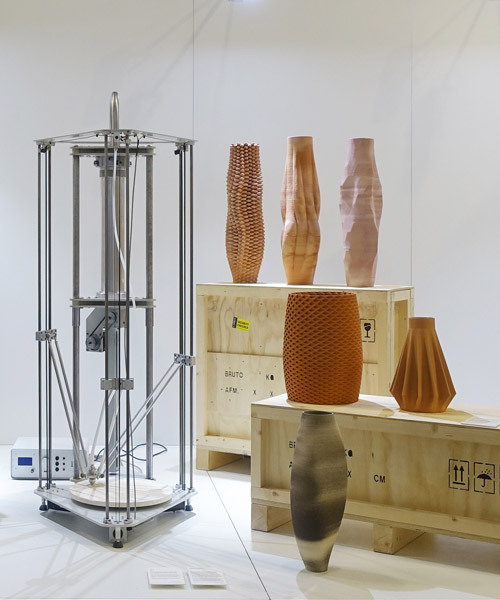 the NE+AR exhibition at dubai design week 2017 displays key designs, as well as processes, by studio mieke meijer and olivier van herpt. 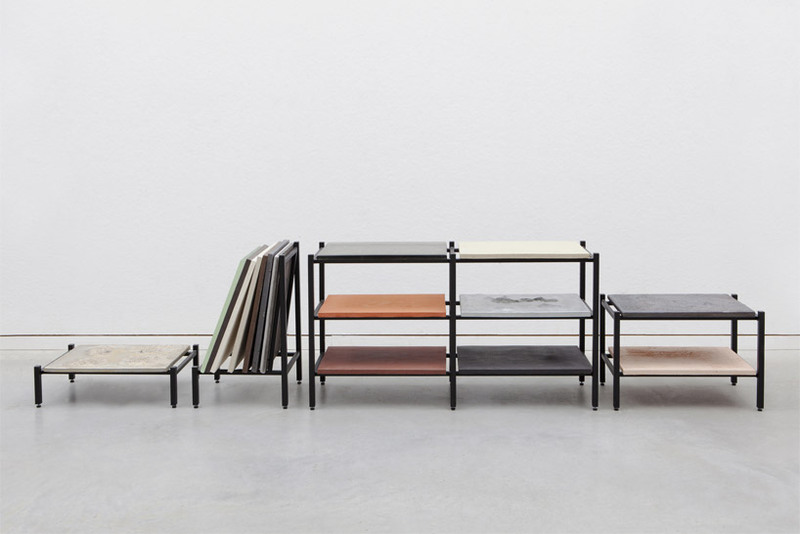 as a minimalist yet versatile furniture design, meijer’s ‘materialism’ tables explore elements of modularity and customization of materials. 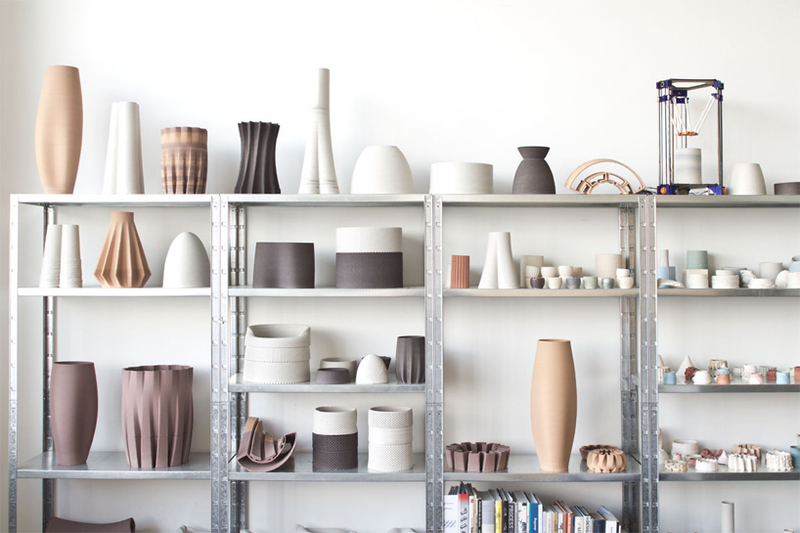 offering flexibility through materials also, van herpt’s contribution showcases his now renowned ‘3D ceramics printer’ and its creations in all textures, shapes and sizes. 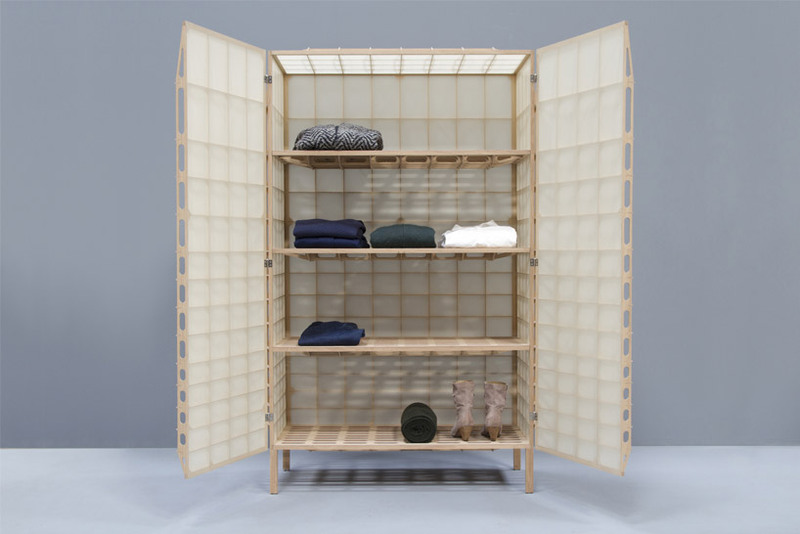 the final piece on show is meijer’s ‘airframe’ wardrobe, which composes traditional materials to create a beautiful and functional configuration. 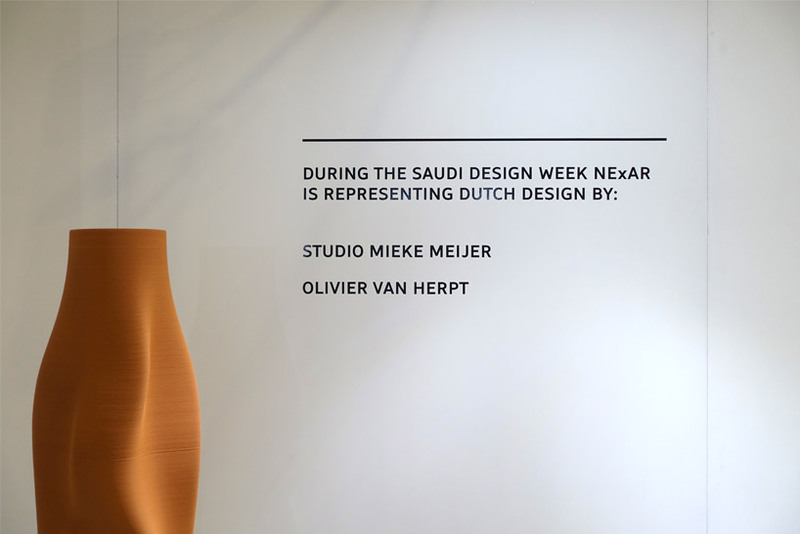 the NE+AR exhibition is on display at dubai design week 2017 from 14th to 17th november 2017, as well as at the saudi design week and dutch design week 2017. Wow. Some of those large 3D shapes are compelling. Beautiful.